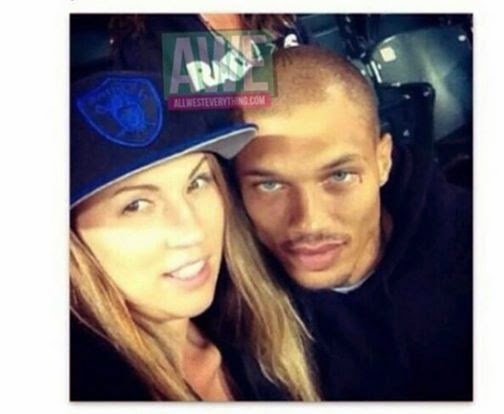 Photo of Jeremy Meeks with his wife, they are just beautiful, right ? What a stunning couple!! I hope this fame dosen't go to his head! And the negative publicity dosen't affect the new and up and coming fan base. All an all I hope thay use this fame positively while it last because looks dont last forever.